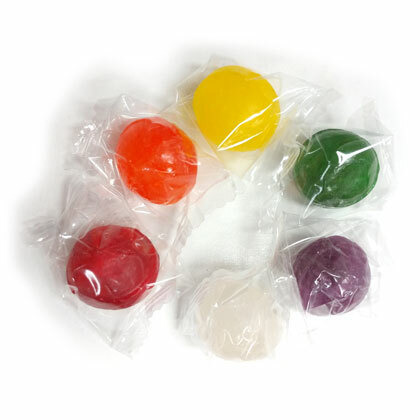 Seven flavor assortment of sour fruit balls in cherry, grape, lime, lemon, orange, pineapple and strawberry flavors. Individually wrapped. Gluten-free. Made in USA. Approx. 4.5 pieces per ounce. 12 oz bag. Hard to find these individually wrapped except in high price catalogues. These were exactly the same and a fraction of the price. LOVE IT! !